Born 1882 in Melrose, Massachusetts, American soprano opera singer and film actress was noted for her beauty, acting ability, and “the intimate timbre of her voice.” She had a large following among young women, who were nicknamed “Gerry-flappers”. Farrar created a sensation at the Berlin Hofoper with her debut as Marguerite in Charles Gounod’s Faust in 1901 and remained with the company for three years, during which time she continued her studies with famed German soprano Lilli Lehmann. She appeared in the title roles of Ambroise Thomas’ Mignon and Jules Massenet’s Manon, as well as Juliette in Gounod’s Roméo et Juliette. Her admirers in Berlin included Crown Prince Wilhelm of Germany, with whom she is believed to have had a relationship beginning in 1903. Farrar developed a great popular following, especially among New York’s young female opera-goers, who were known as “Gerry-flappers”. She created the title roles in Pietro Mascagni’s Amica (Monte Carlo, 1905), Puccini’s Suor Angelica (New York City, 1918), Umberto Giordano’s Madame Sans-Gêne (New York, 1915), as well as the Goosegirl in Engelbert Humperdinck’s Königskinder (New York, 1910), for which Farrar trained her own flock of geese. In 1967, Farrar died in Ridgefield, Connecticut of heart disease aged 85, and was buried in Kensico Cemetery in Valhalla, New York. She had no children. 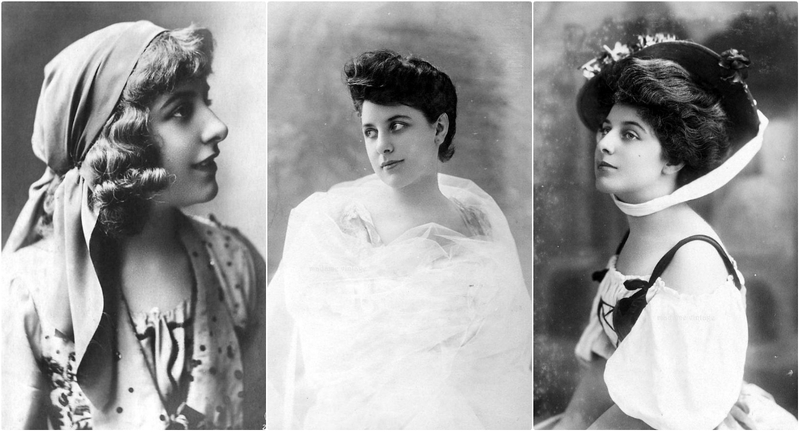 Take a look at these vintage photos to see the glamorous beauty of Geraldine Farrar in the 1900s and 1910s.